McNellie’s Group owner Elliot Nelson had originally planned on going to law school, but after interning with a law firm during a summer break from college, he found that he really didn’t like law, and instead turned his attention to a dream he had long held… to own an Irish pub. That dream became the first restaurant in his portfolio, James E. McNellie’s Public House. The first couple of years were tough for the startup restaurant, but once McNellie’s was on solid footing, Nelson began adding more businesses to his portfolio at a frenetic pace. Today, McNellie’s Group owns and operates a total of ten establishments in Oklahoma and is expanding into Arkansas. Elliot over the years is single-handedly responsible for educating hundreds of eager to learn beer drinkers through his Beer University offered in the early years of McNellie’s. Further Elliot, has developed a beverage education program for his employees that can be modeled as a best industry practice . Eric Marshall, Founder/Brewmaster - Marshall Brewing Co.: Eric Marshall a fourth generation Tulsan with a degree in International Business and German language from the University of Tulsa. Eric left Tulsa in 2004 to study the art of brewing in Munich, Germany where he was awarded the prestigious International Diploma in Brewing Technology from the World Brewing Academy. He apprenticed in multiple breweries throughout Germany and served as a brewer at the Victory Brewing Company in Downingtown, Pennsylvania. In 2007, Eric returned to Tulsa to begin laying the groundwork for his own brewery. 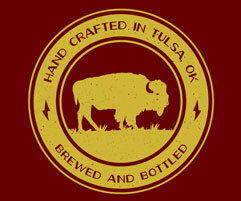 Marshall Brewing Company, Tulsa’s first production craft microbrewery, which began operations in spring 2008. Marshall Brewing Company focuses on brewing full strength, hand crafted, top quality ales and lagers. Its business is based upon creating fine products with basic inputs – old-world knowledge and experience, high quality raw materials and good old-fashioned hard work. Marshall Brewing Company’s goal is to bring the art, quality, and enjoyment of craft brewing to Oklahoma. Luc “Bobo” Van Mechlen: President of the US Sector of Manneken-Brussels Imports, Van Mechelen is the face and brand ambassador for Chimay beers. A Belgium native, the energetic Van Mechelen has spearheaded the growth of the Belgian Trappist beer brand in the US. He has also been knighted by Le Chevalerie du Fourquet des Brasseurs for his work in beer. Overview: Perhaps the oldest style of beers still being brewed today are Lambic beers in Belgium. Rather than the widely accepted process of pitching specific yeast strain into cooled wort for fermentation, spontaneous fermentation relies on Mother Nature to deliver microbes as the cooked wort cools in an open air environment and shallow vessel known as a coolship. In this seminar we will take a look at the process, science and characteristics of Spontaneously Fermented beer. Attendees will be presented an advanced scientific prospective of Spontaneous Fermentation. A moderated discussion will be led by Tyrrell Conway, Regents Professor and Head of Department - Microbiology and Molecular Gentics, Oklahoma State University. The esteemed panel includes Chase Healey Founder/Brewmater for American Solera, Shawn Savuto QA/QC Technician and Packaging Specialist with Coop Ale Works, Dr. Chris White, President, CEO and Founder - White Labs. Note: Attendees would be best served to have broad knowledge of the fermentation science. Panelists:Chase Healey - Founder/Brewmaster American Solera. Ph.D - President, Founder, and CEO White Labs Chris White lives in San Diego, Calif., USA, where he serves as President and CEO of White Labs Inc. Chris founded White Labs in 1995 to manufacture yeast cultures and provide fermentation services to the brewing, wine, and distilling industries. Chris has a Ph.D. in Biochemistry from the University of California, San Diego and a B.S. in Biochemistry from the University of California, Davis. While at Davis, Chris interned at Genentech Inc., the world's first biotechnology company. White is coauthor of Yeast: The Practical Guide To Beer Fermentation, co-designer of BrewMaster: The Craft Beer Game, and has published numerous articles on yeast, beer, and fermentation. Chris White was a lecturer in the Chemistry and Biochemistry Department at U.C. San Diego from 1999-2007, and is currently teaching in the Brewing Certificate Program at U.C. San Diego Extension. Chris was awarded the 2013 Recognition Award from the American Homebrewers Association. 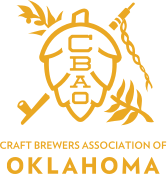 If you are interested in learning more about craft beer, I urge to you to attend the value-priced Craft Beer Forum of Oklahoma. Tickets prices begin at $50. Tickets are available now for the Craft Beer Forum: https://craftbeerforumofoklahoma.com/event/buy-tickets/ Cheers! Wes Alexander Director of Marketing & Sales Marshall Brewing Co. The oldest member of the team or “The Godfather” as he is commonly referred to around the brewery, Wes is a self-proclaimed refugee from selling things less important than beer. As a native Tulsan, Wes’ connection to the Marshall family runs back decades. His love of craft beer, however, is more recent. Introduced to craft beer by the Marshall family in the early 2000’s, Wes has since developed a passion for spreading craft beer and the culture it brings. Need advice on pairing food and beer? Wes is our resident expert and hobby chef.